Catch has acquired Last Season! Where is your office/warehouse based? Does Catch NZ ship internationally? How do I give feedback on my Catch NZ experience? How do I contact Catch NZ? How do I purchase from Catch NZ? Will a particular product be featured on Catch NZ again? 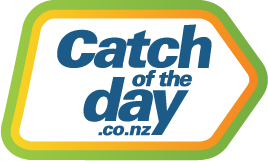 Unfortunately, we cannot guarantee when a particular product will be re-featured on Catch NZ. We are also unable to make any more sales after a sales event has ended. The best advice is to subscribe to our newsletters, ‘Like’ our Facebook page or keep an eye on our website to see if the item you are after will make a comeback in future sales.